A recent update to Instagram’s feed sorting got marketers worried. A straight-forward chronological order will be replaced with Facebook-like algorithm that takes into account many social signals, including engagement and past likes to predict “relevancy” of posts. While the move evoked different sentiments, the fact remains that the algorithm change is unenviable and marketers will have to adjust. To truly leverage the new algorithm to your own advantage, you will need to post content that consistently generates high levels of engagement. The first step in identifying such content is making sure you know and understand your audience. Who are they? What do they like? What do they dislike? What are their aspirations and lifestyle? What about content preferences? You’ll have answer all of these questions to truly figure out what content will rake in likes and comments. The next step in crafting your Instagram strategy is to think about the value your content provides. (highlight to tweet) Sure, pretty pictures are dandy, but they have to evoke emotional responses and provide some sort of value. 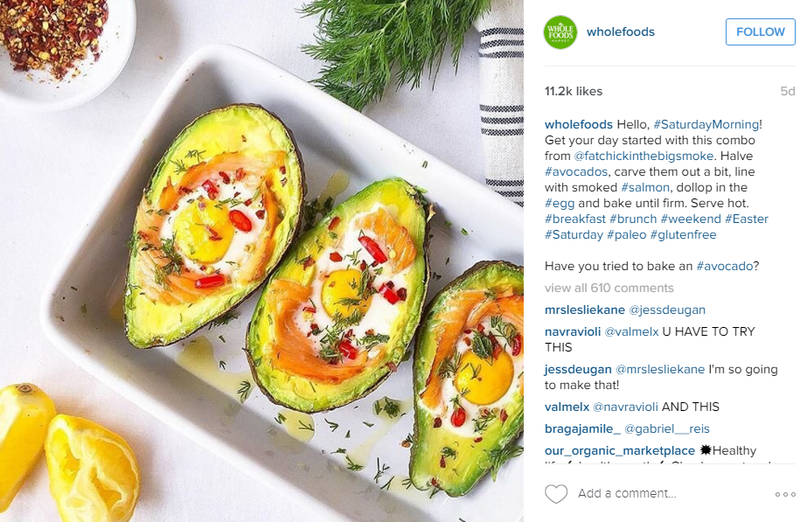 Let’s examine some amazing examples of carefully crafted Instagram strategy that works. People love to be inspired. Inspiration lies behind all great things and inventions. Digital magazine Foundr understands this. Foundr’s audience consists of young entrepreneurs—movers and shakers. Naturally, it only makes sense that Foundr tries to provide inspiration through success stories, interviews, and great quotes that push their audience to keep going and pursuing their dreams. This strategy has definitely worked for the publication. When it comes to Instagram marketing, they are a recognized authority. 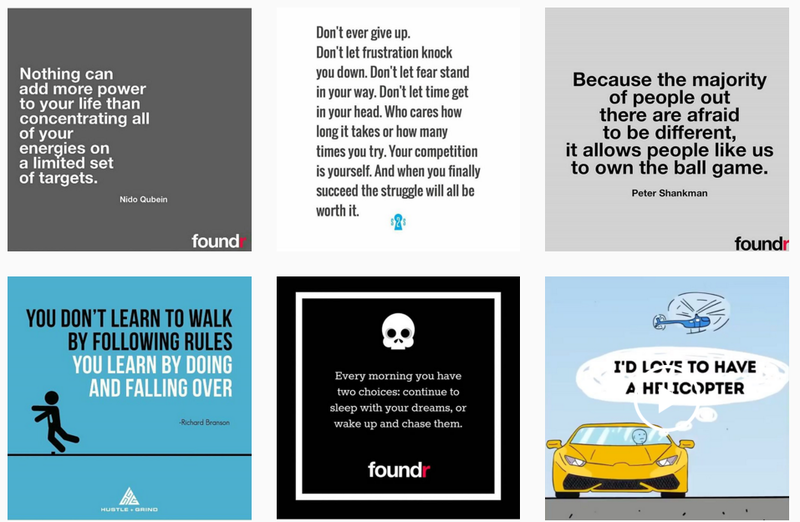 Their follower base of nearly 700,000 followers is the proof Foundr “gets” them. One strategy anyone can borrow from Foundr is including a call to action on every single post they share. It can be something as simple as “double tap if you agree,” or “tag your friends,” or “let us know what you think.” This simple yet powerful strategy increases engagement because it straightforwardly asks for it. You’d be hard-pressed to find a more visual network than Instagram. It comes as no surprise that your visuals have to be up to par. While the platform is predominantly mobile, grainy or dark images from your phone won’t cut it anymore. Take a look at National Geographic, a master of weaving together an incredible collection of photos with beautiful stories. You probably don’t have hundreds of National Geographic photographers on staff at your company, but with a little diligence, you too can create a beautiful visual story of your brand. Thanks to technological advances, phoneography (smartphone photography) has made amazing gains. People create startling images with their smartphones and a little help from photo editing apps and smartphone lenses. If you are not a phoneographer, you can still create great visuals with a camera or a computer and download them to your phone for use on Instagram. Disclaimer: Skip this section if you haven’t had lunch yet. Even then, the author is not responsible for drooling all over your computer. On Instagram, you have an instant to impress. You have one image and one caption to catch your audience’s attention before they move on. It’s crucial, then, to ensure your content is “bite-sized” and fun. It would be easy for any retailer to grab an image of their products, slap a huge sale sign on it, and upload the resulting graphic to their feed. However, Whole Foods Market has found a way to make their photo collection incredibly appealing both visually and contextually. Delicious imagery is paired up with quick and easy recipes (who doesn’t love those? ), making their content not only pretty but actionable as well. 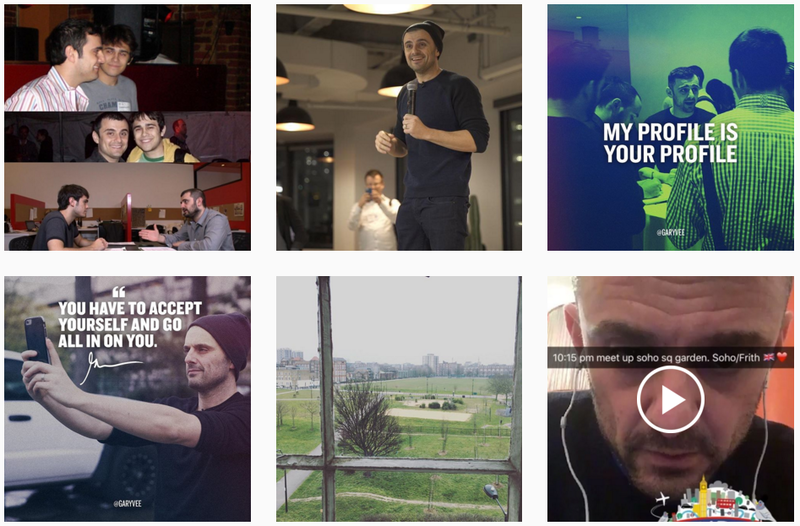 Instagram has a feeling of immediacy to it, of being in the moment with a content creator. Although pretty sunsets and shoe pictures do give the feeling of being right there, these might not work so well for businesses. What does work, however, is behind-the-scenes moments, sneak peeks, and everyday scenes. One of the most prominent marketers, Gary Vaynerchuk, knows a thing or two about creating that sense of immediacy. Every day, Gary Vee shares little snippets of his life with his followers and, at times, it cannot get much more intimate. If a multimillionaire and one of the most recognized faces in the industry can get personal and create a sense of spontaneity in his updates, so can you. Even though images are the main driving force behind Instagram, don’t neglect to craft meaningful captions. Often, those captions will add substantial value, context, and power to your visual storytelling. Take Humans of New York, for example. Images of regular people, not celebrities, achieve thousands of likes and comments because captions to these images tell powerful stories. I don’t want to degrade the quality or skill of these powerful portraits, but I’d argue that it is the stories that accompany every single image that have such a profound effect on followers. 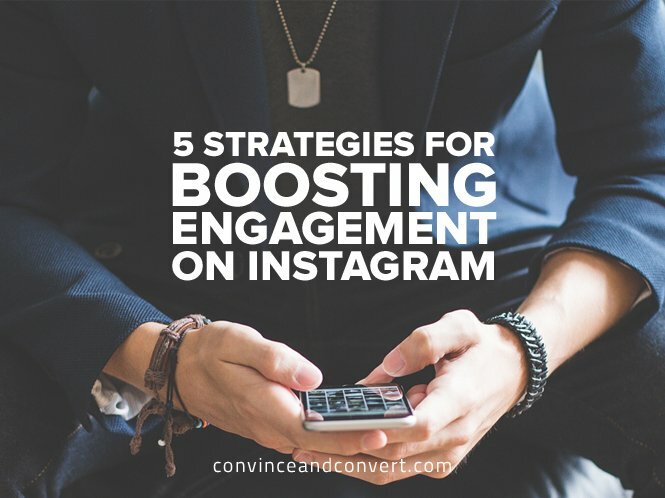 These are some of the best, most effective strategies when it comes to Instagram engagement. Engagement is always the key to social media success, but with the roll-out of Instagram’s latest algorithm, now is the time to focus on building an outstanding brand experience.